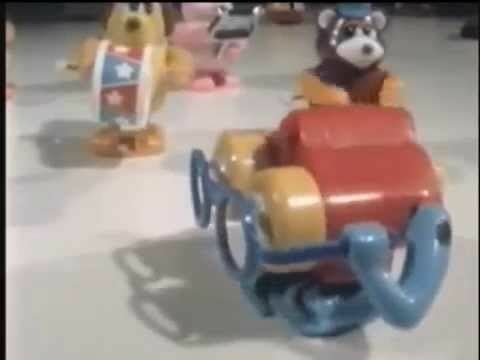 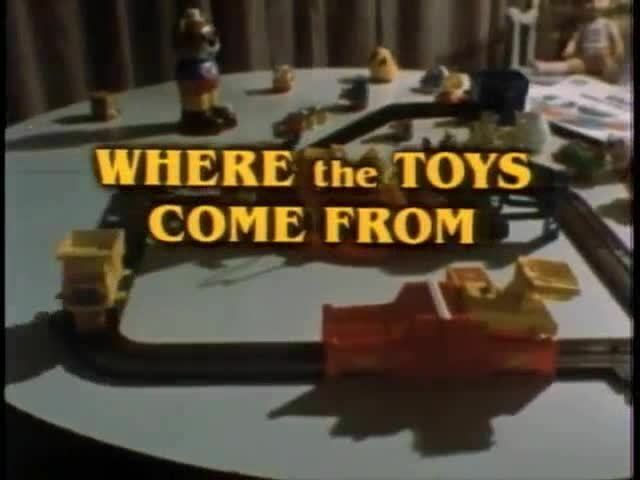 Where The Toys Come From is a Disney special directed by Theodore Thomas created in 1983 and then released in 1984 by Walt Disney Studio Showcase. 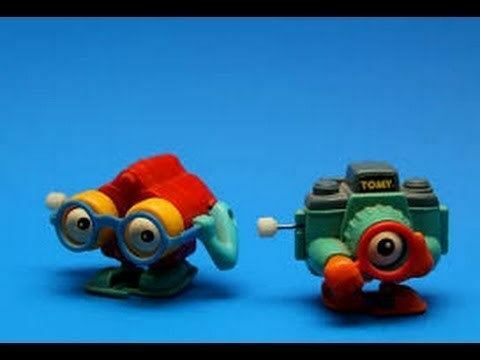 It follows the journey of two toys, named Zoom (voice over by Larry Wright) and Peepers (voice over by Jon Harvey), as they try to find out where they were made. 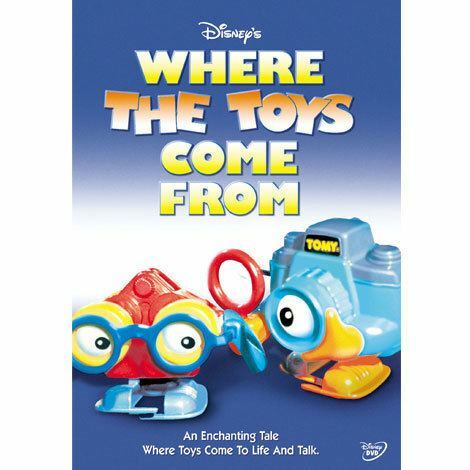 Their owner, named Robin (played by Erin Young) assists them in their journey. 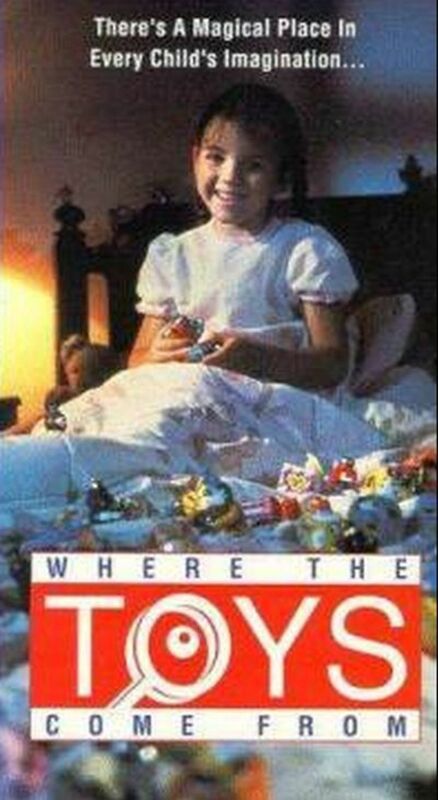 Their search begins in a toy museum, where they find out they were made in Japan. 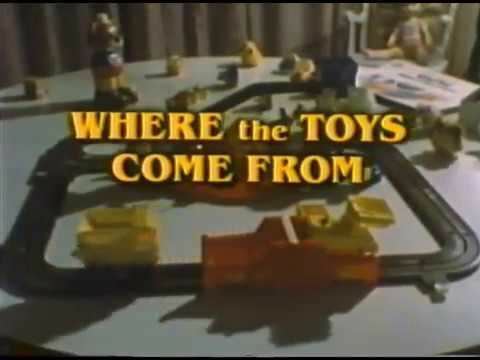 Robin takes them to the toy store they were purchased from and they begin their trip to Japan. 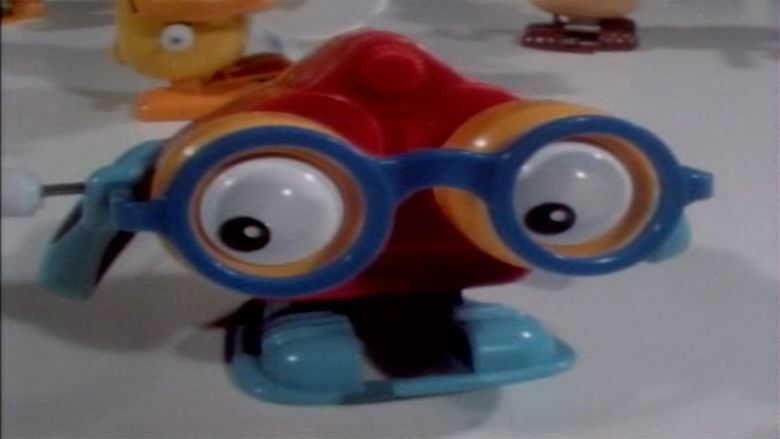 In Japan, Zoom and Peepers find their maker, named Kenji (played by Sab Shimono) and their questions are answered.